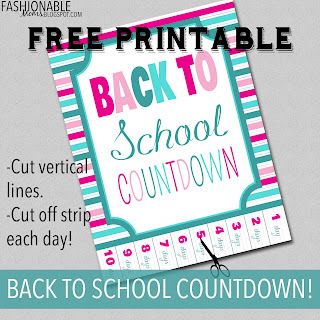 Okay, okay, this may be more for you parents than the kids;) Here is a Back to School Countdown! 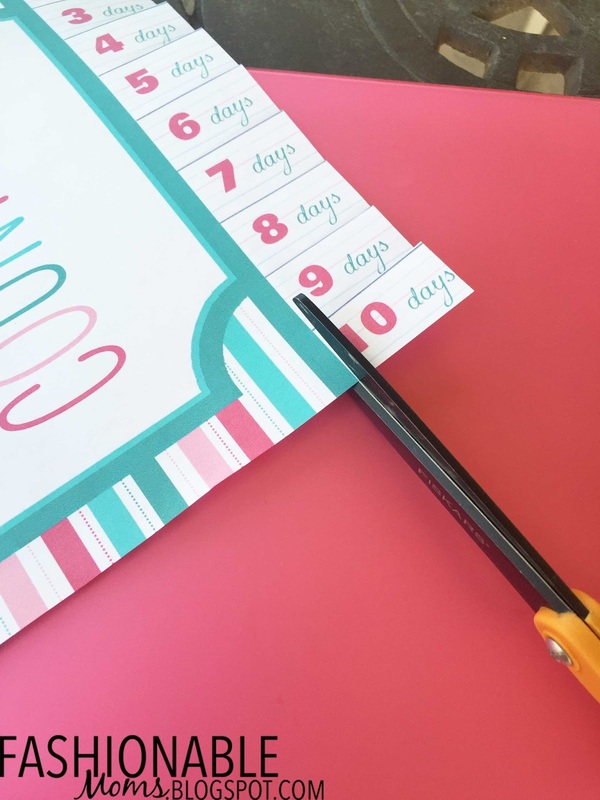 Cut on the vertical lines at the bottom. Cut off a strip each day for the last 10 days until school starts! For your personal use only. Designed by Jamie/fashionablemoms.blogspot.com.